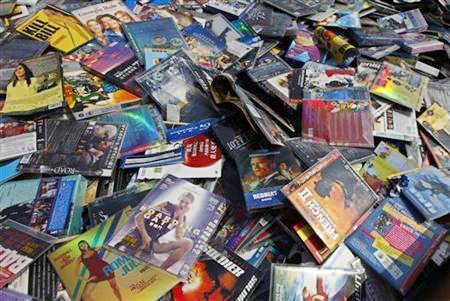 DVD’s everywhere…falling on the floor, getting stepped on, broken, disorganized and lost. Not a pretty sight. Nope. Not at all. Wouldn’t it be nicer to have this instead? This is a step in the right direction, but still not good enough. And, to be honest, totally not realistic if you have children of any age. I bet we all can, in 2 seconds flat, picture in our minds how this arrangement would end up as a total disaster. What if I told you that you could have something even better? And what if I told you that it would take up hardly any space at all? Would you believe me? Or would you think I’ve gone off my rocker? Hmmm. A gigantic bookshelf or a small binder? I don’t know which I’d choose. It seems like such a hard decision – total chaos or organized peace of mind. I just don’t know. Did you get any DVD’s for Christmas this year? Are they lying all over the place? Are they spilling out onto the floor, or in a drawer that won’t open because your kids stuffed them in there so tightly that the drawer is jammed shut, never to be opened again? Phew – that was a run on sentence. 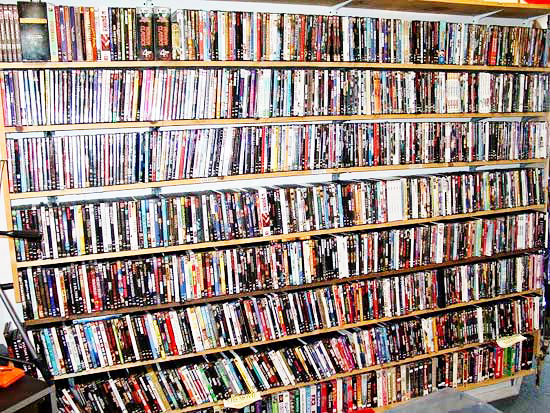 Are you done with the mess and hassle of DVD’s? Do you want them to be organized, neatly in place and even *gasp* alphabetized? If this sounds too good to be true, it probably is. Oh wait – it’s not. This is one of those things that’s entirely possible. But you have to be willing to give something up. No, not your first-born. You can keep your children; I have plenty of my own. You have to be willing to give up something else. I know, I know. For some reason, the case is special. It holds and protects the DVD. It’s even got a nice cover on it and a bunch of information on the back and inside that I know you’ll never read. But we’ve got to think outside of the box, or case, in this matter. Take a deep breath, because if you haven’t seen this before, you’re going to love it! Are you salivating yet? 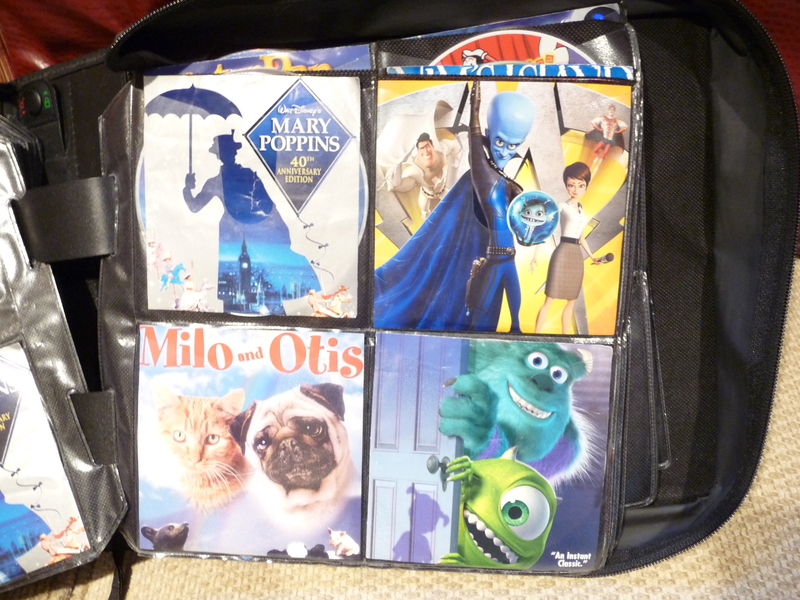 No, not over my wonderful movie choices, but over the binder! I am so in love with this way of organizing my DVD’s and it’s not even Valentine’s Day! This particular binder has the capacity to store 208 DVD’s!! Two hundred and eight! Can you believe that? 208. 200 + 8. Meaning, do you want them organized by title, genre, year, etc? I choose to arrange them alphabetically. 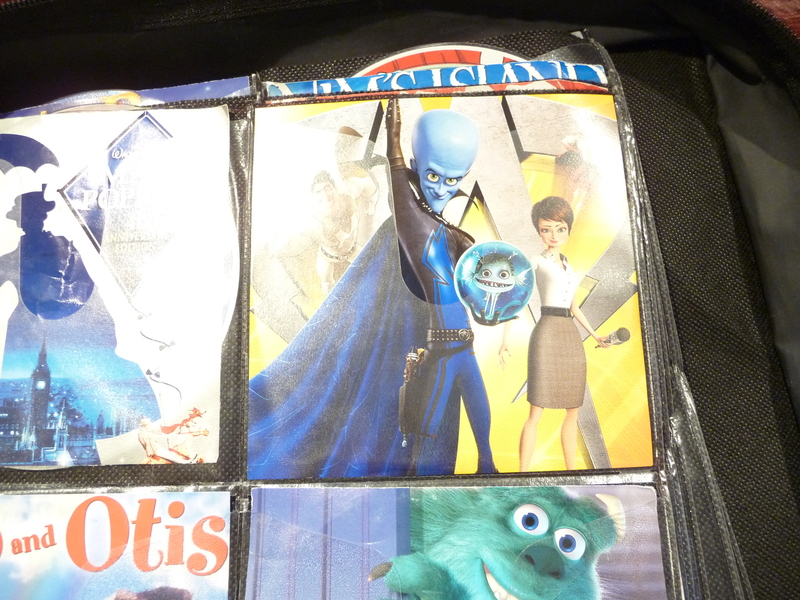 And this binder is only for my kids’ movies. 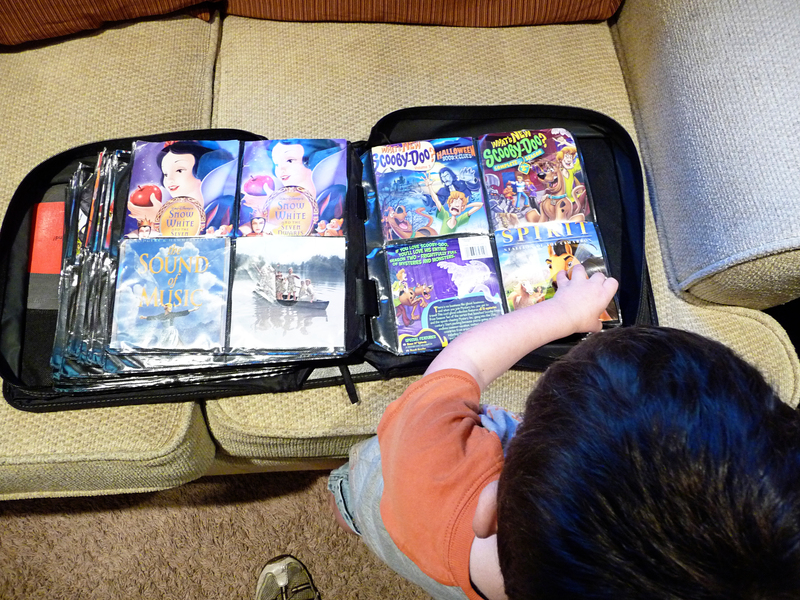 They know that they’re allowed to watch anything in that binder, so there’s no worry that they’ll put something on that’s too scary or grown-up for them. I even have a separate binder for DVD’s we’ve recorded off of TV (we have a DVD recorder). 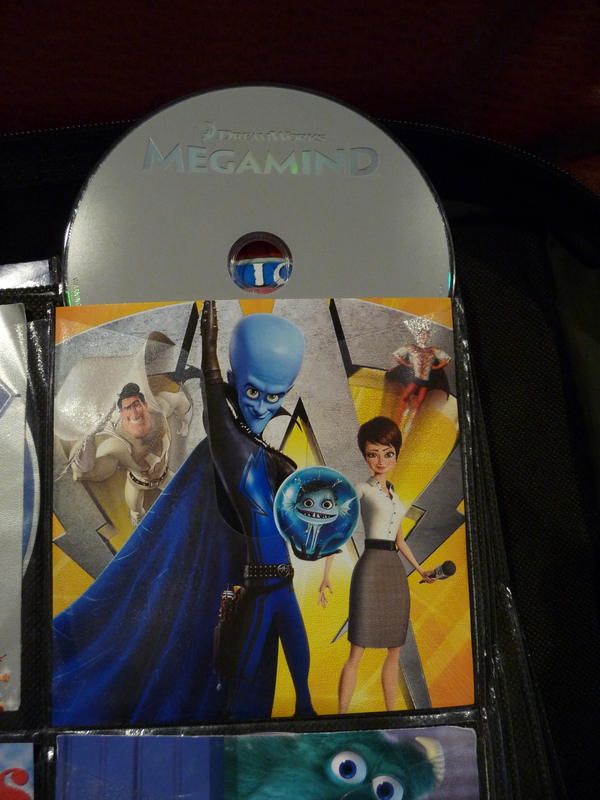 We’ll use Megamind as our example. So here’s the movie, untouched and a little blurry (sorry about that). #3. Remove cover from case. It’s easiest if you open the case all the way up. That loosens the paper cover and it just slides right out. OK, here they are separated. Take another deep breath. I know that was hard. It was hard for me at first, too. #4. Cut the cover to fit. 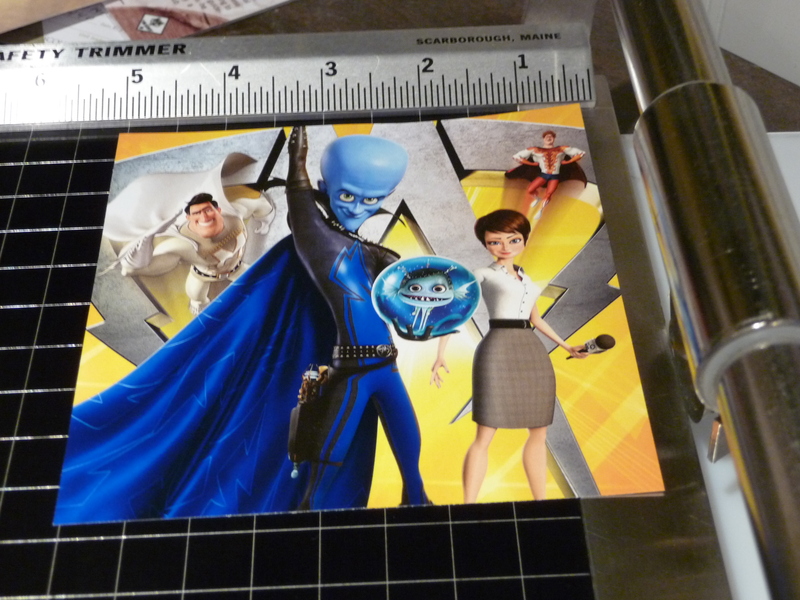 You’ll need to measure the DVD opening in your binder to get an exact fit. Then cut it slightly smaller so it’ll slip easier into the opening. Did you notice I cut off the title? Guess what? It’s OK to do that. Especially for kids. They’ll know what the movie is by the picture; they don’t need the title. If you can fit the title, great. But it’s not essential. #5. 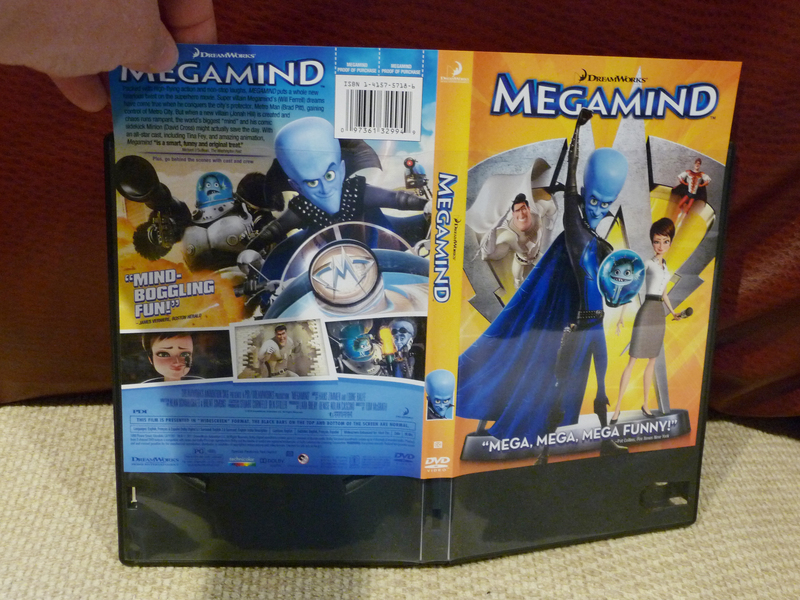 Insert the cover into the DVD binder. 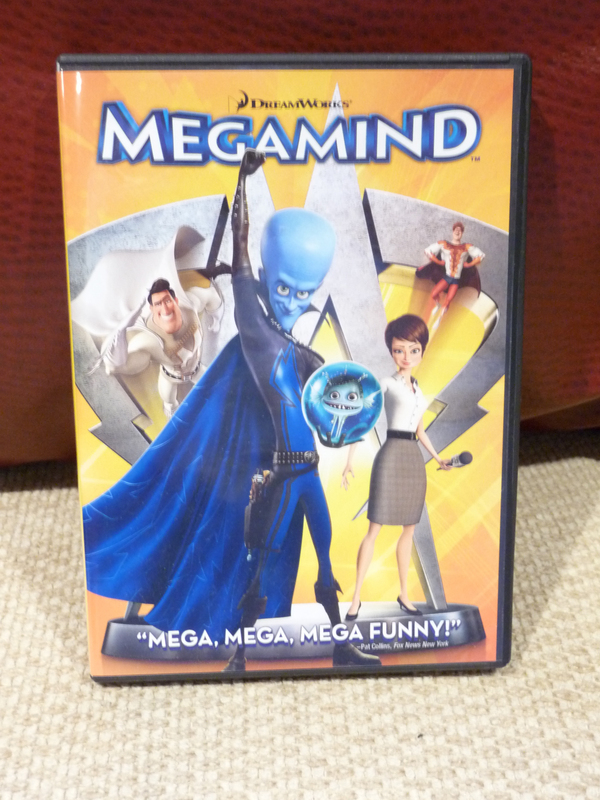 Megamind goes right after Mary Poppins and right before Milo and Otis. Alphabetical order is so soothing to me. #6. Slide the DVD behind the cover. #7. Enjoy the freedom and peace. It’s so easy for even little children to flip the pages and pick a movie. And it’s just as easy for them to put the movie away because they can match the movie with the picture. #8. Take it a step further. 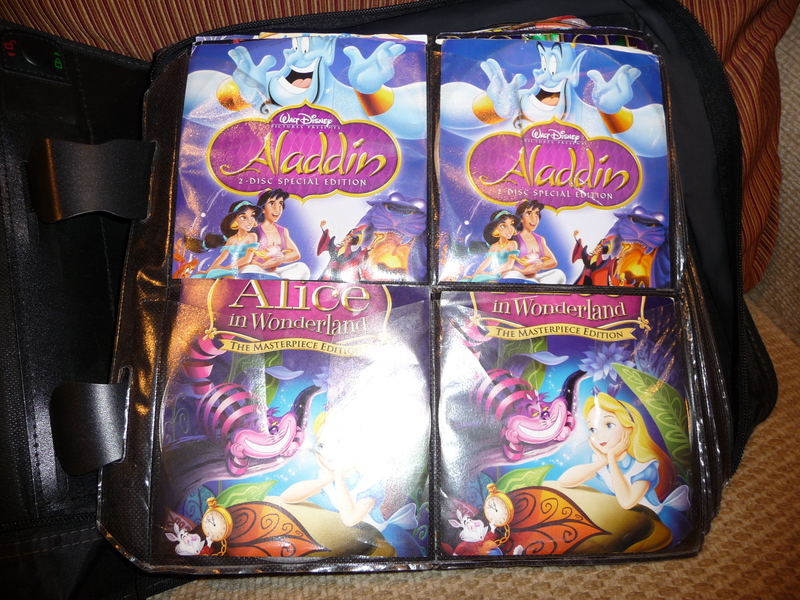 My sister Heidi recently did this and she laminated the DVD covers. She has a lamination machine so it was really easy. But you can take the covers to a local copy center and have it done there. I plan on doing that because my baby likes to rip the covers. That doesn’t make me happy. Nope. Not at all. What do I do if I don’t have the DVD cover? Heidi also solved this problem. She didn’t have DVD covers for some of her movies. So she used google images to bring up pictures of the movies, printed them out and used those as the DVD covers. What if I have a 2-disc version? 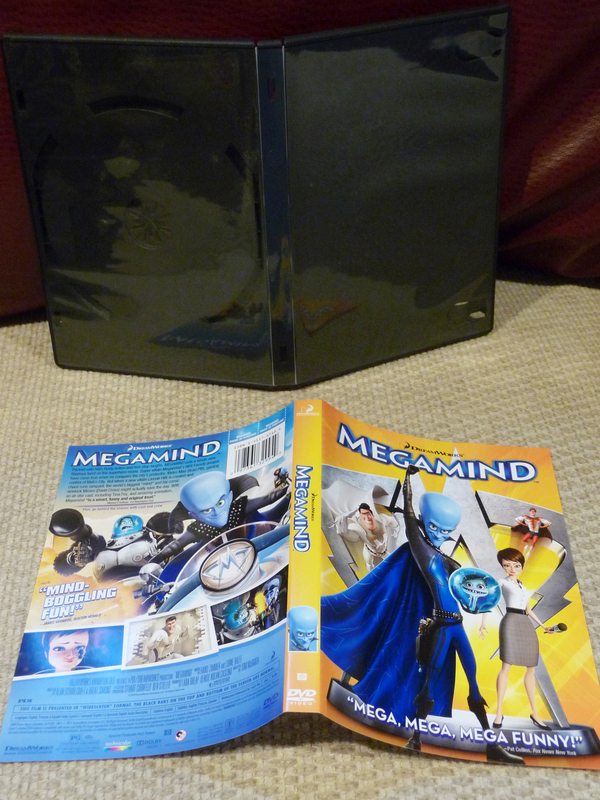 I cut the front of the DVD cover to use for the main DVD – the one that has the movie on it. I cut the back of the DVD cover to use for the bonus disc that has the special features. Then I put both of them in the binder. So what are you waiting for? Go buy a DVD binder and get rid of those cases! You’ll be totally amazed at the space you freed up for other things. 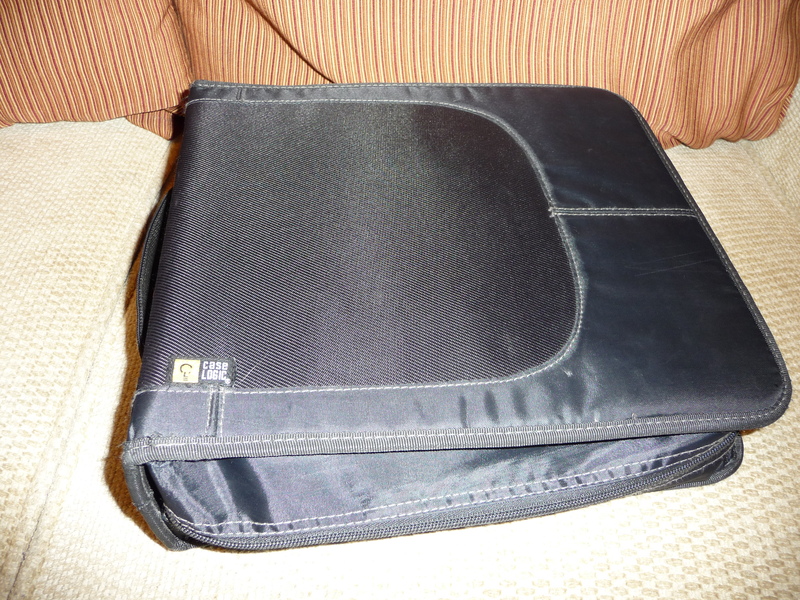 This entry was posted in Organizing and tagged binder, DVD's, laminating, organization. Bookmark the permalink. We attached a Mac Mini to our TV so that we could rip and store all of our DVD’s on it. It eliminated the scratching and damage we sometimes saw from the kids handling the DVD’s. It also allows us to create a playlist of parent approved movies. Now, we buy our movies via itunes so that we don’t even have to deal with a physical copy. So much more organized. I love it! I’m interested in finding out more about how you did this! However, I don’t have $$$ for a mac mini & won’t anytime soon. Are there other ways to do this? Do you have to have a mac mini in order to buy from iTunes? Also, I’m a mac user but my husband is very against it. Someday he’ll see the light. No, you don’t have to have a mac mini to do it–we just like the interface and the ability to manage access. Any old computer can do….just hook up an external hard drive to store all the files (about 1/4th the cost of a mac mini for a terabyte). Then you can access everything that way. On the mac mini we use Front Row for the easy interface. You also do not need to have a mac to use/purchase on iTunes. It can run on anything. Did the damage occur from pulling them in & out of a sleeve? Or just from kids? So far we haven’t had any problems. Time will tell.